I think one of the cooler things about getting older, among the less cool things like randomly waking up two hours before dawn and having achy knees before a storm, is how we keep getting to know ourselves better, and how we’re always discovering new sides to our personality. I mean, deep down inside, I know who I am, and that core Karen stays pretty much the same. But, over time I find new things about myself that I never knew existed, like, it wasn’t until I met Tabs in my 30s that I realized I was a full-on crazy cat lady! The idea of embracing the different sides of your personality, many of them as yet undiscovered, is at the center of the new #AlmayTrueYou campaign. It’s all about expressing your individuality through makeup that enhances your uniqueness, but doesn’t cover up the true you. I’m sure you’re familiar with ALMAY, and you’ve seen them at Walgreens. The brand is famous for their hypoallergenic formulas and their more natural look, so even if you’re wearing makeup, you still look like you, and not like a completely different person. Heads up, smart shoppers! As we speak, all ALMAY products are buy 2, get 1 free at Walgreens through March 24th, 2018. It’s a look I’ve been into lately. It’s still me, but, like, zhuzhed up with extra flair. ??? 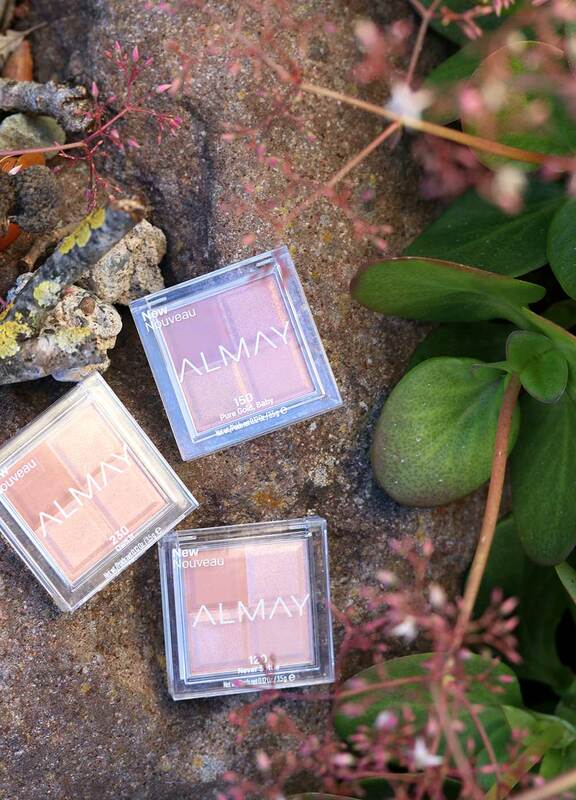 ALMAY just launched a nifty new line of eyeshadow quads called the Almay Shadow Squad™. They’re only about $6.99 each, and each one comes with a matte, a glitter, a metallic and a satin finish square in the same shade. There are 15 shades in the line, ranging from everyday neutrals to trendy brights. So, there’s a lot to choose from. I like them, especially because they are Opthamologist tested, don’t irritate my sensitive eyes or make them itch or tear up. I also like having all four soft, easy-to-blend finishes in one place. They’re surprisingly flexible. It’s easy to pick one up and do an entire look from start to finish…but I also like grabbing a few and custom blending to whip up unique finishes (which is so totally my style, and what I’m doing in the three #AlmayTrueYou looks below). At least I am in my head. 🙂 And I’m getting better all the time. I hope to be a super boss baker ?‍??? someday. I love to bake, and I obsessively save recipes and pictures of cakes and cupcakes… I’m working toward the dream of baking a three-tiered wedding cake from scratch and piping that frosting to perfection. That day will come eventually, mark my words! 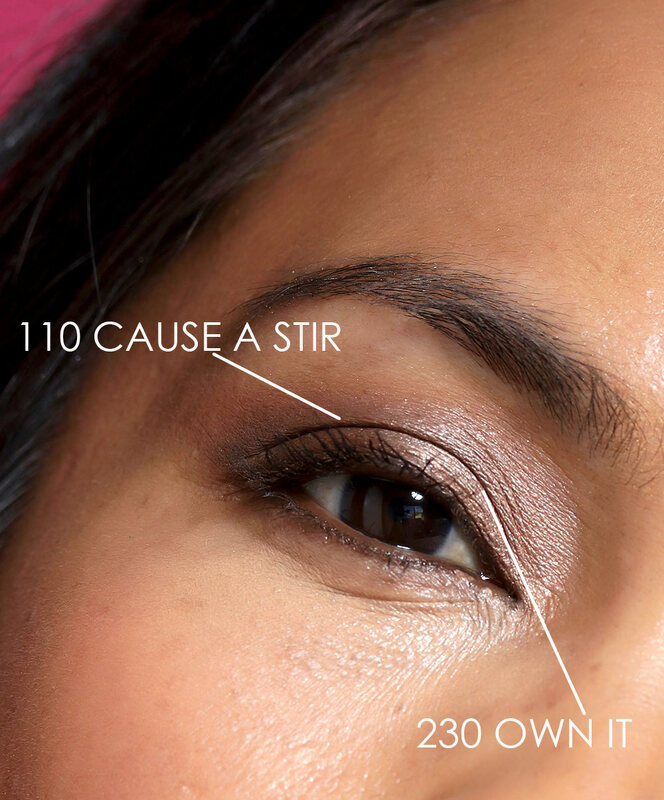 For these chocolaty eyelids, I used two different Shadow Squads — a cool brown 110 Cause a Stir and a neutral brown 230 Own It. I mixed the matte shades with the satins, then applied them on my lids with a wet brush. 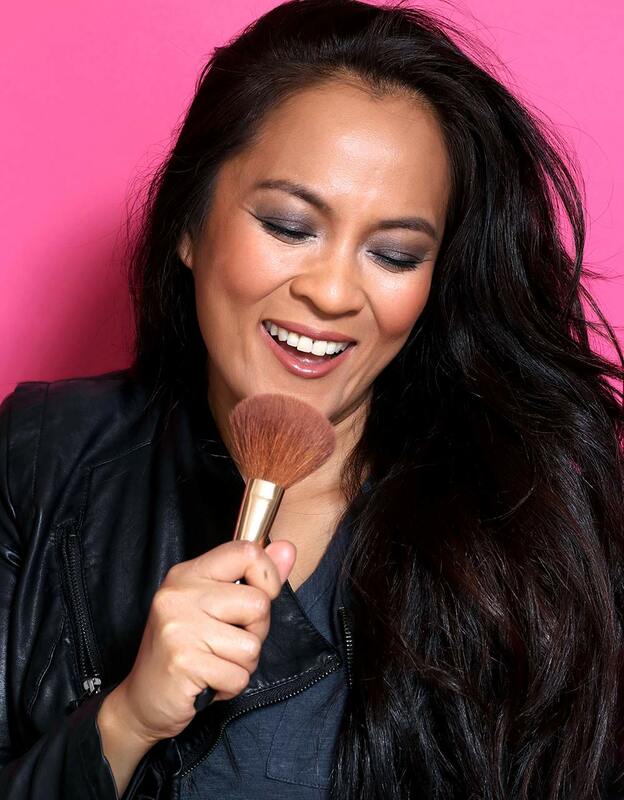 QUICK TIP: After you apply powder eyeshadow with a wet brush, wait till the shadow is completely dry before you blend, because dry powder eyeshadow is always easier to blend than wet powder eyeshadow. I’m a karaoke ???‍? queen, in my head. I love to sing. Any time, any place, I’m down to hop on the microphone and belt out I’ve Had the Time of My Life — thanks Bill Medley and Jennifer Warner for that catchy tune! Anything and everything can be a microphone. 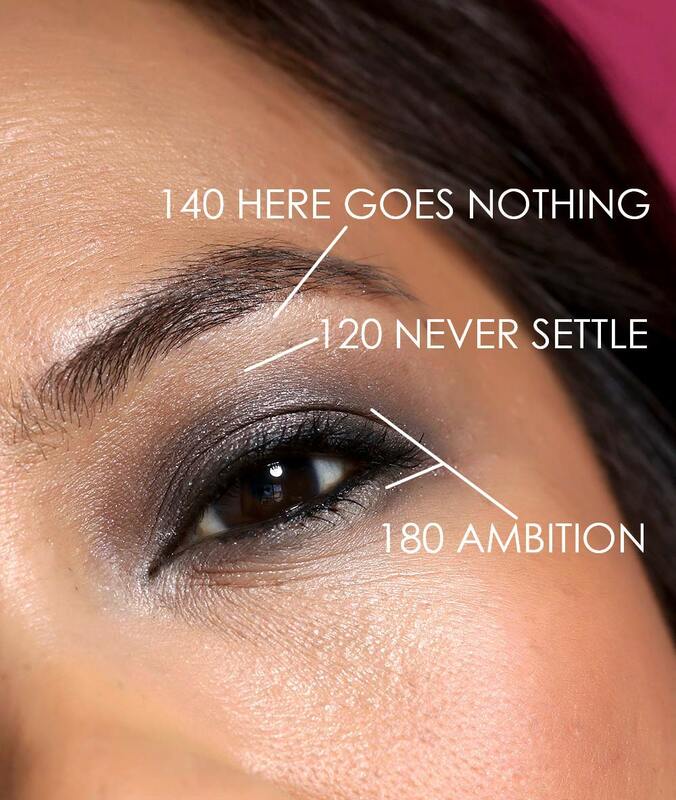 I used a few different Shadow Squads, again mixing the colors in each — a beige 140 Here Goes Nothing on my brow bone, a brown 120 Never Settle in my crease, and 180 Ambition on my lids and lower lash lines. QUICK TIP: When doing smoky eyes, do you eyeshadow before your foundation, powder, etc., because then you can clean up any fallout using eye makeup remover, without messing up your face makeup. 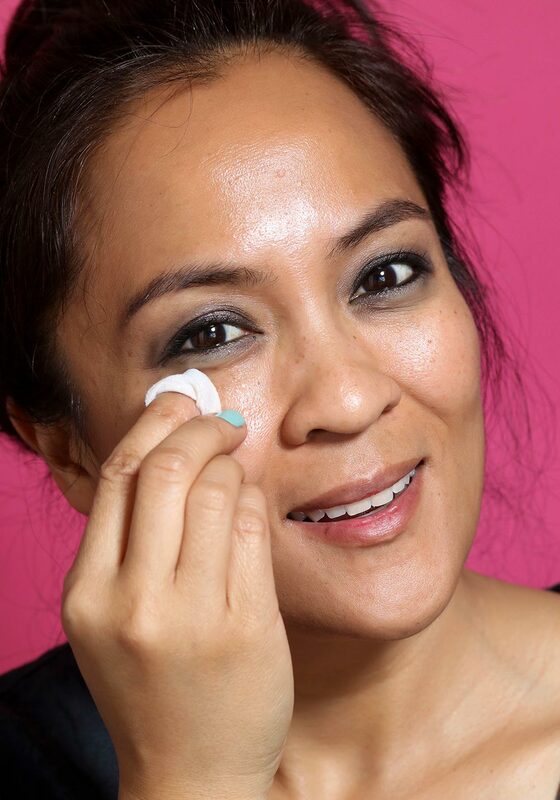 To clean my under-eye area in this look, I used ALMAY Gentle Eye Makeup Remover Pads (about $8.49). This was something I learned about myself in college in my 20s. I found out I had a green thumb after taking a botany class and doing an experiment involving pollinating walnut trees (side note: that’s where I learned how to use farm equipment). Nowadays, you can usually find me tending to the large collection of potted plants on my deck on spring and summer weekends. The colors in my garden inspired this teal and gold look. 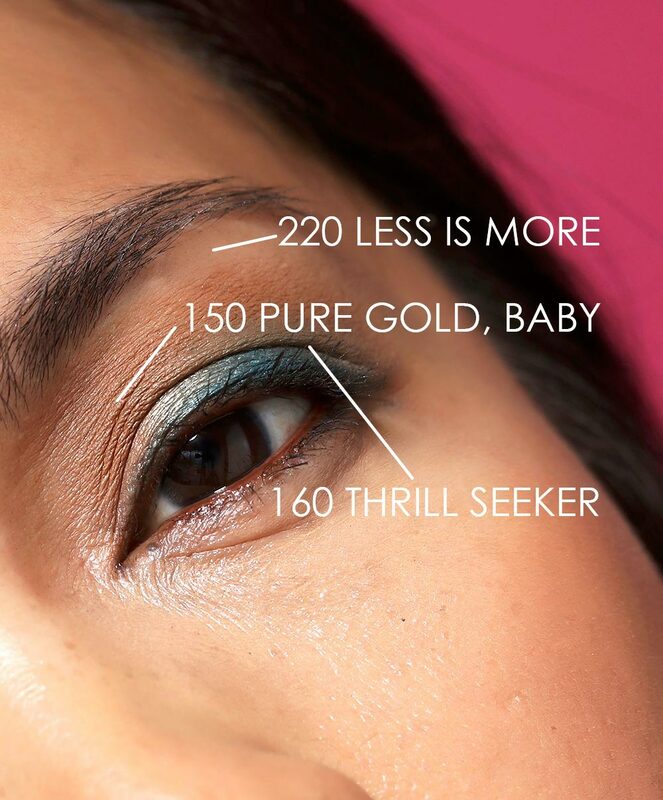 I’m wearing a vivid teal 160 Thrill Seeker and a warm gold 150 Pure Gold, Baby. 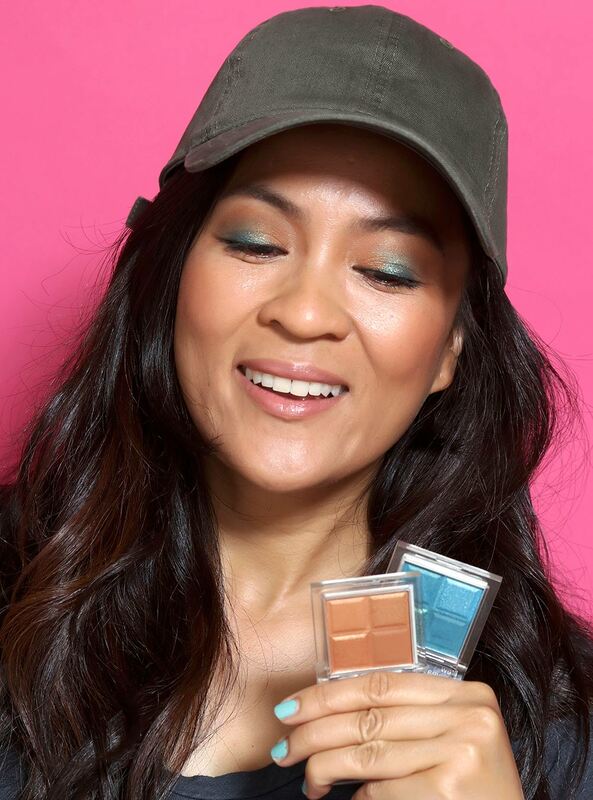 QUICK TIP: If you want to wear bright eyeshadow, but you don’t have a clue what to do or how to do it, start with something easier, like using the shadow as a liner applied on your upper lash line using an angled brush. You’ll always find me rockin’ a hat when I’m gardening. Are you a community theater star? A volunteer? A motorcycle mama? An apprentice stylist? 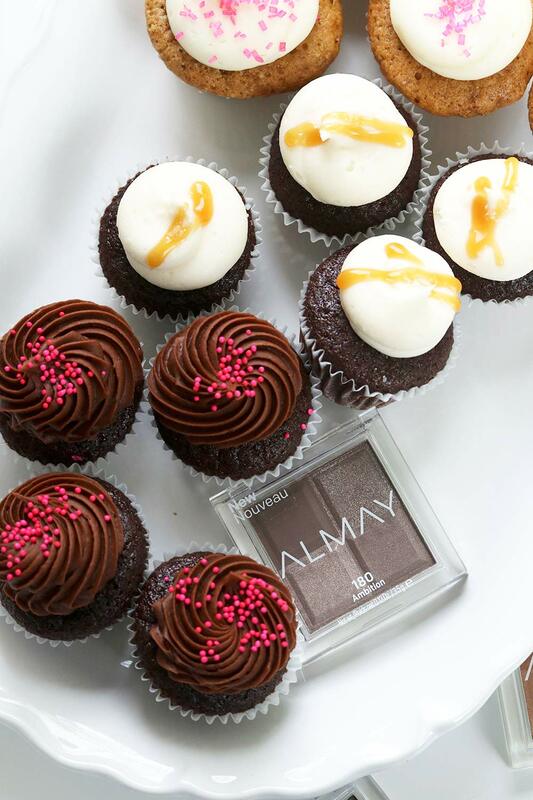 What parts of your personality do you like to celebrate and which Almay Shadow Squad would you use to show each part? I’ve had good experiences with Almay in the past. Allergy season is almost upon us and could probably use some products that are non irritating. Your cupcakes are beautiful. I have no doubt that you will make that wedding cake someday very soon! Thrill seeker is pretty! I had to look closely to see the different finishes. Looks like a fun spring/summer color. 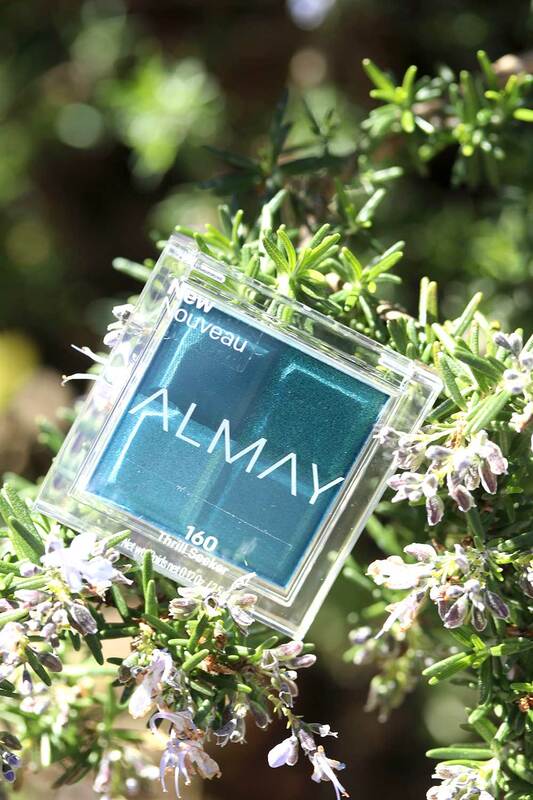 Almay makes some good things, especially for the eyes. I’ve used their liner and mascara before and liked it. How was your weekend? Did the work thing go OK? I never knew you had so many other Karens there hidden between the ones you already show us! I wonder which ones I would find. Motorcycle Mama maybe, though I havent touched my motorboke since I found out I was expecting. I never used to care, but all of a sudden the thought of being hurt is horrifying. I am definitely NOT a motorcycle mama, LOL! My friend Alis is always trying to convince me to hop on a bike but I know myself way too well. I don’t belong on anything motorized with two wheels. Lovely pictures Ms Karen. 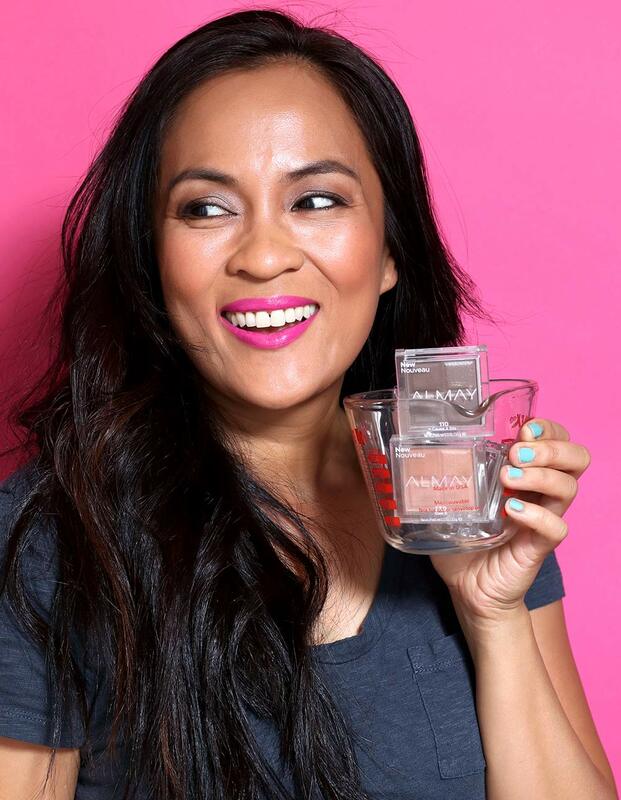 I haven’t used Almay shadow but clear complexion liquid foundation is never far from my grasp. Have a lovely day. Which colors are you wearing on your lips!? The hot pink looks beyond gorgeous on you! Everything is making my eyes itch right now! 🙁 I got these gorgeous glittery liquid liners, and that’s kind of expected that glitter is itchy, but even my mascara (currently Diorshow) is itching. I’ll have to check out some Almay. I love Almay’s mascaras and the i-color shadows, liners, etc. I have sensitive eyes and am allergic to most mascaras, so Almay is one of the few brands I can wear. I got the Shadow Squad Quad in Thrill Seeker and I thought it was really awful, though. The four shades were sheer, the mattes were patchy, and the shades were too similar to really use them as a quad. I think how you used it, as a pop of color with other shadows, is the way to go with that one.